From the Golden Gate Bridge Toll Plaza, take the 19th Avenue/Park Presidio Boulevard exit and go through the tunnel to Park Presidio Boulevard. Go two miles 7 blocks to Cabrillo Street. Turn right on Cabrillo, then right again on 14th Avenue. Proceed one block north to Balboa Street and turn right. Cross Park Presidio Boulevard turn right onto to 8th Avenue and continue on 8th into Golden Gate Park. Once in the park make a right turn and then an immediate left the Academy will be to your left. For surface access to the Academy, turn right on 8th Avenue across Fulton Street to JFK Drive. For direct access to the Concourse Parking Facility, from Balboa turn right on 10th Avenue and continue on 10th into the parking garage then left on 10th Avenue. Take the Fremont Street exit from the Bay Bridge and turn left to Fremont Street. Go 0.3 miles and turn left to Pine Street. Take Pine Street for 2.7 miles past Presidio Avenue and bear left to Masonic Avenue. Follow Masonic Avenue for 0.8 miles and turn right to Fulton Street. Follow Fulton for 1.3 miles to 8th Avenue to the Academy or to 10th Avenue for direct access to the Concourse parking Structure. Please note that John F. Kennedy Drive is closed on Sundays from Transverse Drive to McLaren Lodge. Tea Garden Drive remains open for pick-up and drop-off, accessible via Concourse Drive from Martin Luther King Jr. Drive. The Concourse Parking Facility is open seven days a week. This aquarium is home to over 38,000 live animals, representing 900 species. View African penguins, sharks, stingrays and even piranhas as you explore various galleries including the Philippine Coral Reef, Northern California Coast, the Rainforests of the World and even Tusher Africa! Your ticket includes access to all museum and aquarium exhibits, including the rainforest,planetarium, living roof and a wide range of daily programs. Go inside the Steinhart Aquarium's Philippine Coral Reef tank, the world's deepest living coral reef display. 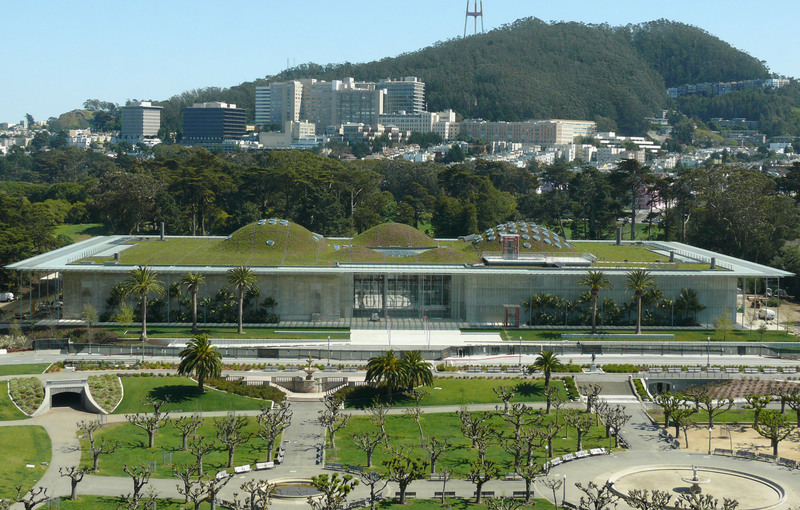 The California Academy of Sciences is home to not only the Steinhart Aquarium, but the Osher Rainforest, Morrison Planetarium and the Kimball Natural History Museum. For a great deal on admission to the Academy as well as the Aquarium of the Bay or the Monterey Bay aquarium, the Exploratorium or the De Young Museum, the Blue & Gold Fleet Bay Cruise and the Muni and Cable Car 7 day passport, be sure to check out the San Francisco CityPass for a great deal on your vacation.